To have a neat and nice lawn all year round, you have to care for it often. All the lawn care tasks, such as watering, fertilizing, and mowing, are among essential things that any homeowner has to pay attention to. 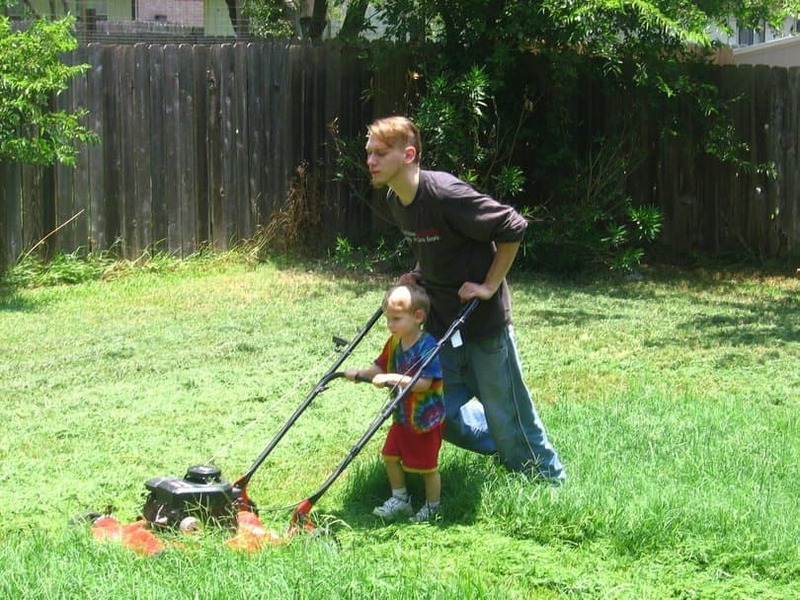 Regarding to mowing activity, it should be done on a regular basis to ensure that the lawn is always in good shape. Mowing your lawn in mild weather may be a piece of cake, and you may not have to water and tend it a lot. However, during hot summer days, you need to take into account a number of things related to mowing your lawn if you wish to do it effectively and efficiently. Let’s take a look. The very first thing you should consider when deciding to mow your lawn with a good mower in hot weather is the time to carry out this task. 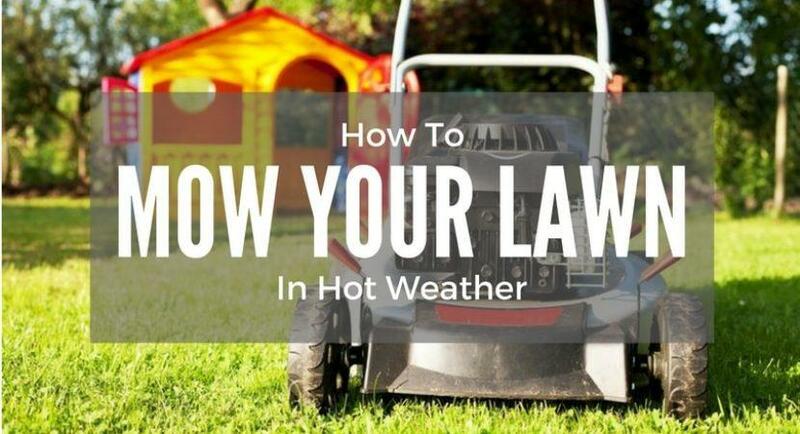 When you see that the grass has grown too high and you make a decision to have it mowed right away, even under the burning heat of the sun, you may not only waste your energy and exhaust yourself, but also create more stress on your lawn. The result is that it may turn brown or die after your decision to mow. Therefore, the right time to mow your lawn is in the mild days, when the weather cools down, or after the rain. If it is continuously hot for days and you really need to cut the grass, do it when the sun sets. It means late afternoon or evening. It will be less exhausting for you to mow the lawn at this time of the day and the grass itself will have the whole night to recover before the next outbreak of the heat in the following day. You could water the lawn after mowing with a push reel lawn mower so that more water can be absorbed by the root, or you can mulch the grass clippings to keep a steady level of moisture. Once you have decided on the time for mowing in hot weather, you need to consider how high you should cut your lawn. There is a common saying “Don’t cut your grass too short.” Why? In normal conditions when the weather is fine, cutting the grass too short actually brings more harm than good as most green energy-synthesizing part of the grass has been removed. During the hot summer, cutting the grass too short just encourages quicker evaporation as the sun now can reach the soil directly. The result is: the sun will dry out the root and your lawn may die of thirst and burn. The rule of thumb is mowing your lawn at one third of its height. If you want to have a 2-inch lawn height, wait until it is 3-inch high and then cut 1-inch of it. Don’t be tempted into the thought that if you cut your lawn shorter, you could save more time mowing later. You do need to mow your lawn if you want to have an attractive one. Besides that, when you mow at one third of grass height, it is adequate for the grass to continue generating energy for growth, and it can somehow act as a protective shield from direct heat for the lower soil layer, especially its root so that it can sustain the stress of the hot summer. If you mow your lawn with a suitable self-propelled lawn mower, there should be some adjustments of blade height when mowing. Do adjust it properly so that you will not cut the grass too short. Use a ruler if necessary to have precise setting. 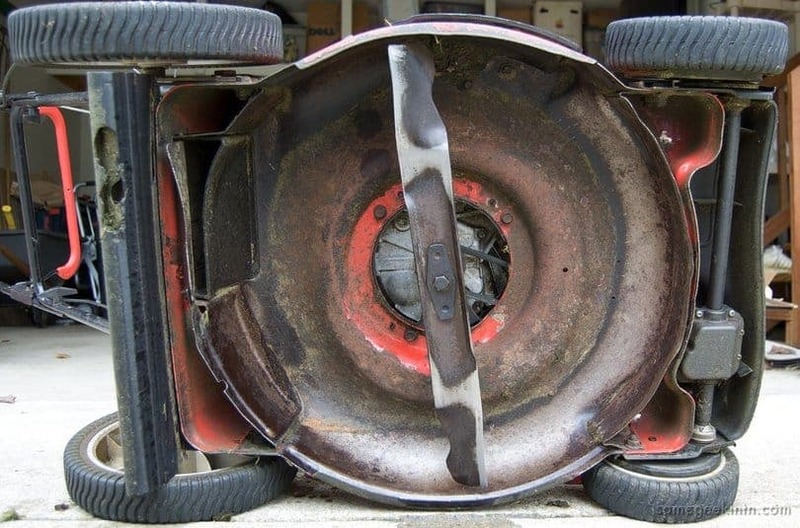 As soon as you take out the mower and prepare to mow your lawn, you should check the cutting blade. Is it sharp enough to make a clear cut on your grass? Why does it have to be sharp? The answer is very simple. First, a sharp blade saves your effort when mowing because you can cut your lawn properly with only one time passing. You may not need to turn back and forth again and again if a cut is not good enough. Second, a dull or blunt blade will tear off the grass rather than cut it. Torn or shredded grass will become more vulnerable under the heat as it has been damaged or injured badly after mowing. So, it is important to sharpen the blade before starting mowing your lawn. A smooth cut by a sharp blade can help your grass heal up quicker and brown burn of torn grass may not appear as the grass has recovered well. If you cannot sharpen the blade by yourself as it requires some technical skills and equipment, you can bring it to a mechanic and have it serviced at some cost. A sharp blade will give you a precise cut on your grass and look beautiful afterwards, so don’t forget to have it sharpened. 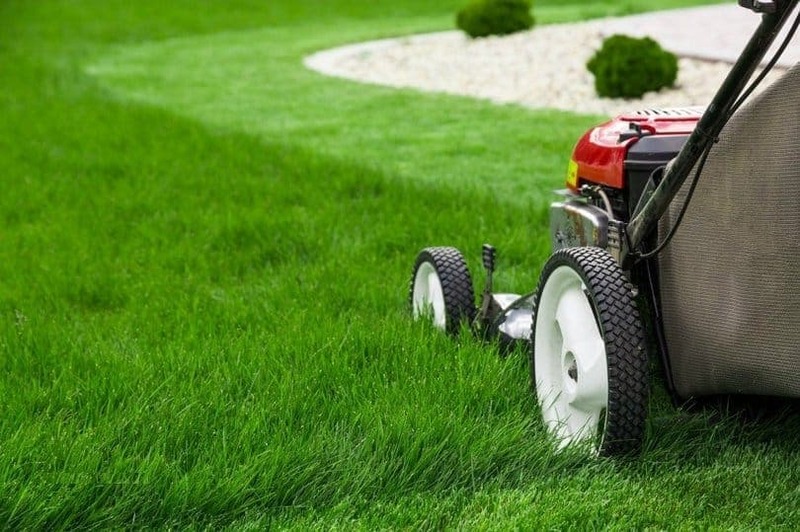 Basically, mowing activity should be carried out often to have a nice look of your lawn. During hot weather like in summer, please keep the discussed things above if you wish to mow your lawn. More importantly, care for yourself when you mow your lawn by wearing protective clothing, such as gloves or glasses. You may sweat a lot if working on a large acre of lawn under hot weather, so take a break when you get tired and provide sufficient water to your body. 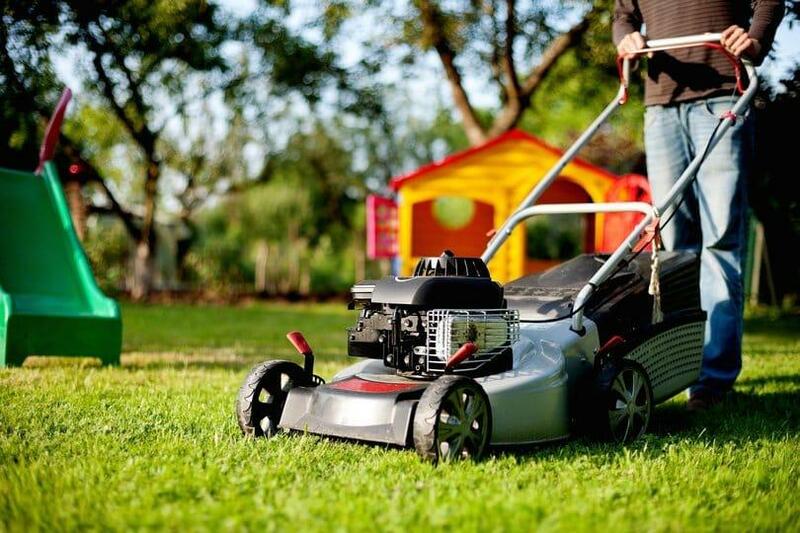 There might be a lot of things to keep in mind about mowing your lawn in hot weather, but to make it simple you can only remember three following notes “mild weather, one third grass height and sharp blade”. This should be enough for you to have effective mowing.